Career: SUEVIC was a large refrigerated cargoship and was laid up in the River Blackwater at least twice. 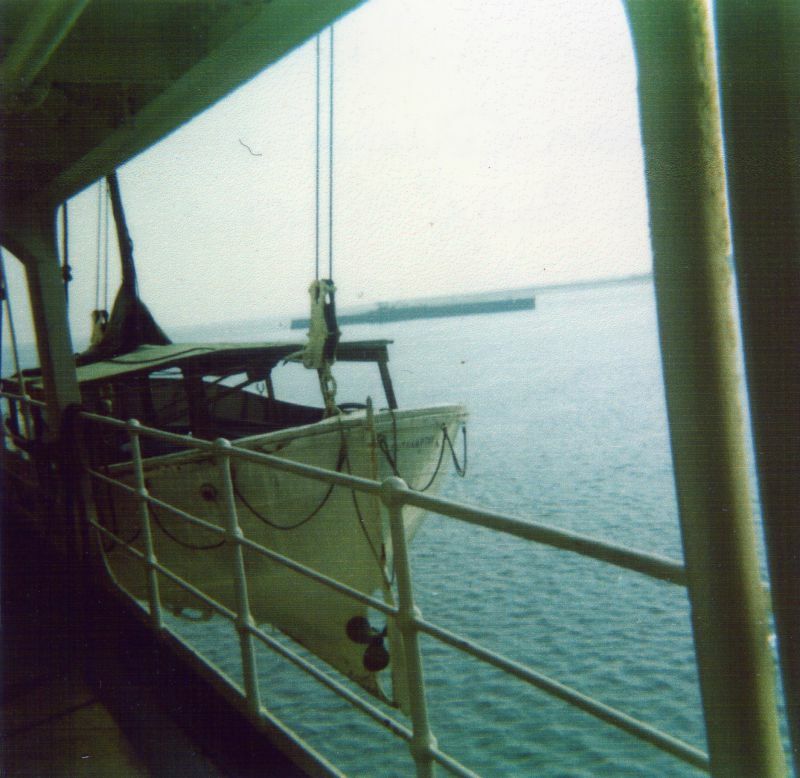 In 1969 she arrived in the River from Southampton. Nolan Loveridge was a Junior Engineer on the SUEVIC during her stay and says a nucleus of mates and engineers remained on board during the visit. 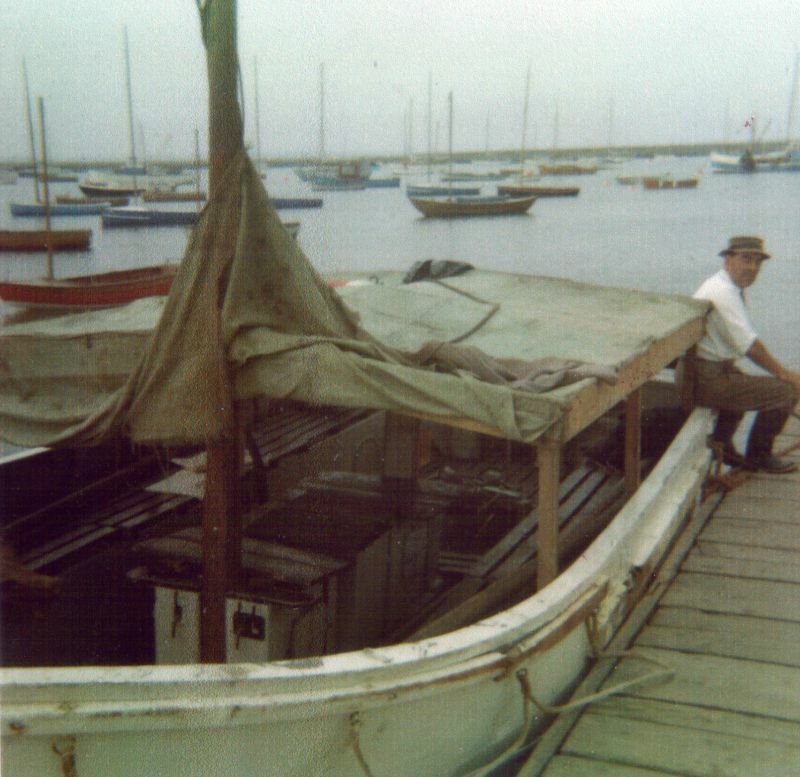 The motor lifeboat was given a makeshift canopy, renamed "African Queen" and made 4 trips a day into the jetty (the causeway) at West Mersea. Sundays there was an extra trip to take people to lunch at the pub in Bradwell-on-Sea. From the Blackwater, the SUEVIC sailed for Rotterdam to be dry-docked and then loaded in London for New Zealand. See also www.shipsnostalgia.com. 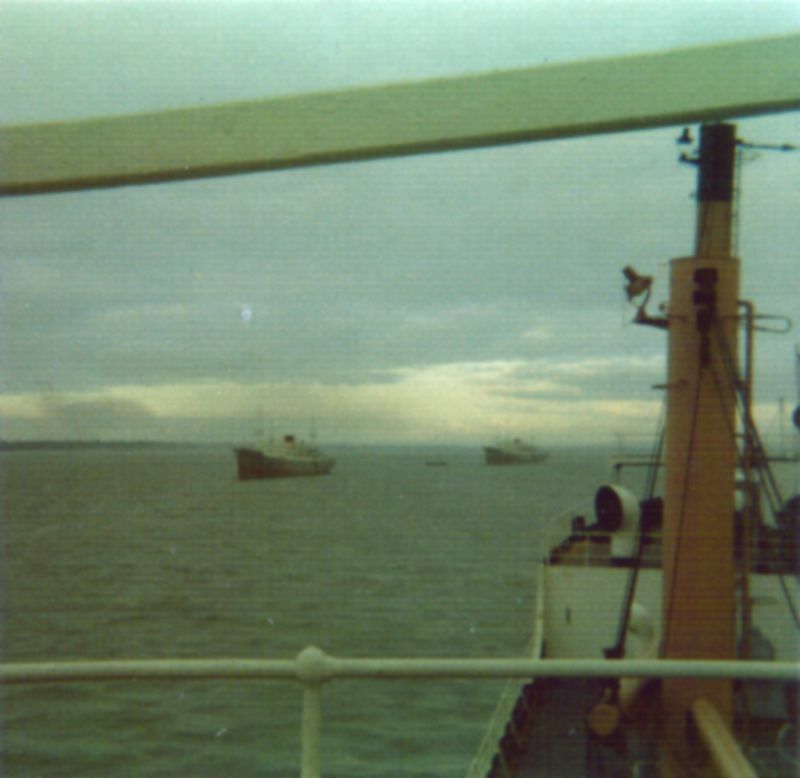 Above: SUEVIC in the River Blackwater August/September 1969. Union Castle boats are thought to be RICHMOND CASTLE and ROCHESTER CASTLE. Date: c September 1969. Above: "African Queen" slung up in falls - SUEVIC in the River Blackwater. Date: cAugust 1969. Above: "African Queen" at the Causeway, West Mersea - the motor lifeboat from S.S. SUEVIC. Date: August 1969. 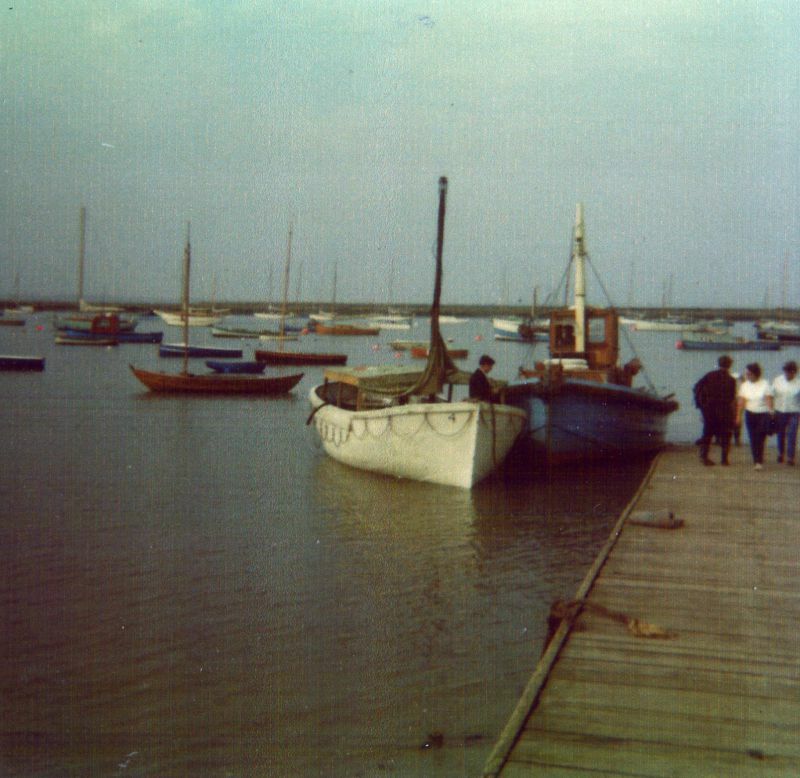 Above: Lifeboat from SUEVIC and the SCEPTRE at the Causeway, West Mersea Date: cAugust 1969.